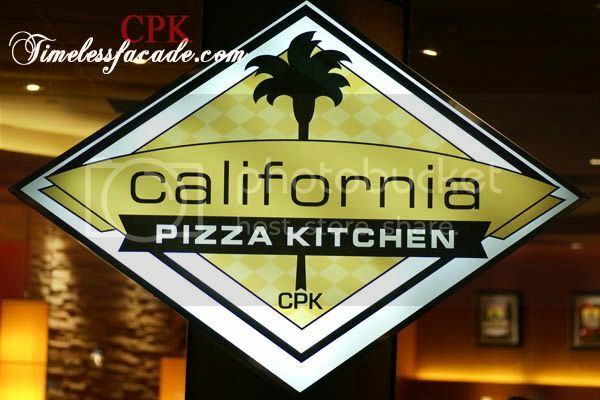 Armed with a 1 for 1 voucher, I was back to visit my favourite pizza haunt in town, California Pizza Kitchen. 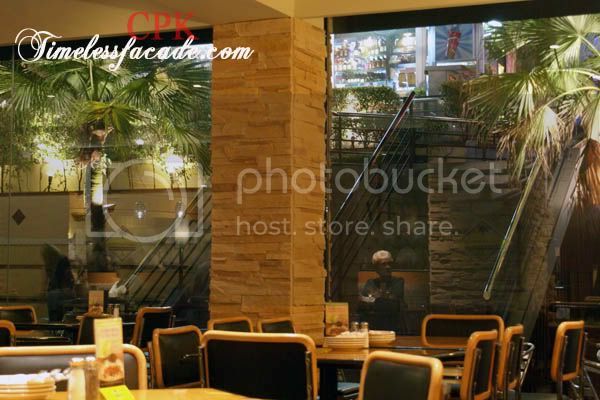 To read about my previous positive visit to CPK, see here. I opted for my usual booth seat at the basement level of this cosy family style eatery and being a Friday evening, people started streaming in to no end, resulting in a long queue forming up just outside of the pizza joint just to get a table. 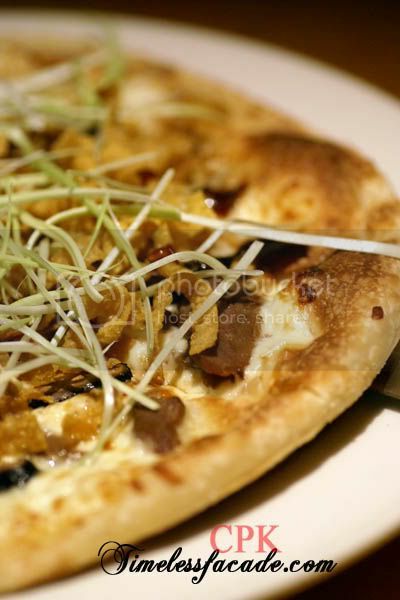 Probably one of the most unusual pizzas that I've come across and a signature pizza of CPK, the Peking duck pizza wasn't short on surprises. For starters, the crust's texture tasted like prata or Indian pancake - flaky and a tad chewy. Deep fried wanton skin toppings provided a nice crunch to the pizza. However I couldn't quite make out the taste of the duck slices although I could see them, all thanks to the rather strong peking duck dipping sauce that was drizzled all over. Overall the pizza tasted very much like peking duck wrapped up in a crepe. Most interesting! I personally felt that the pasta fell a little short of being al dente. What I did like about this dish was the not too overwhelming garlic cream sauce that didn't render me nauseous (a common occurance for me). 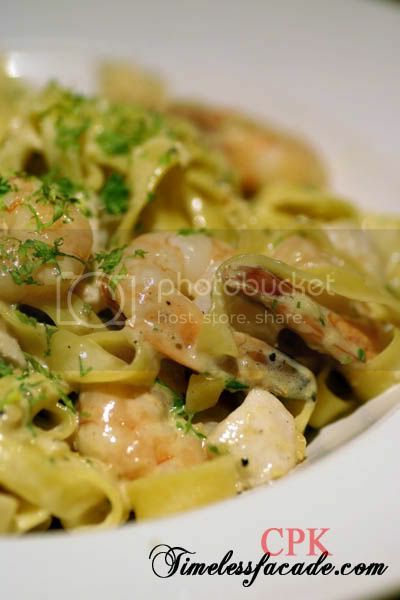 I also appreciated the generous servings of chicken cubes and shrimps, making for hearty comfort food. 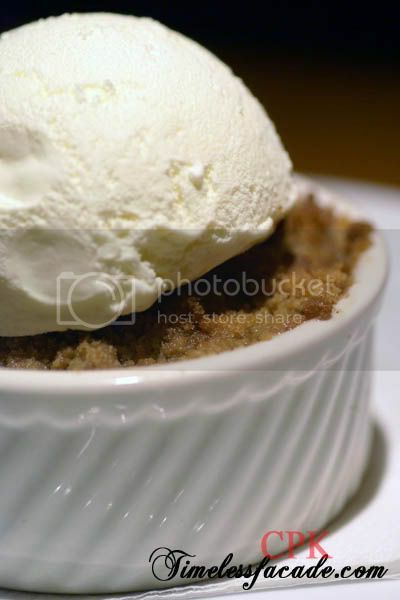 I requested for a scoop of ice cream atop the apple crisp, hence the term ala mode. The nice and sweet layer of crumble belied a trove of hot sourish apple slices that didn't come across as too soft or mashed up. The ice cream tasted like supermarket quality ice cream though. I'm not so much of a sour food eater so the crumble and ice cream appealed more to me. With the price of my pizza out of the way, the 2 of us chalked up a reasonably modest bill of about $39, which is really bang for the buck in my humble opinion. 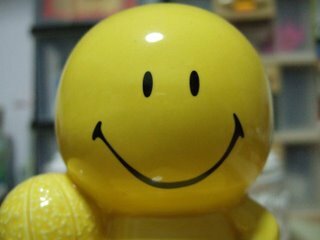 Now if I could just get my hands on more of those 1 for 1 coupons. 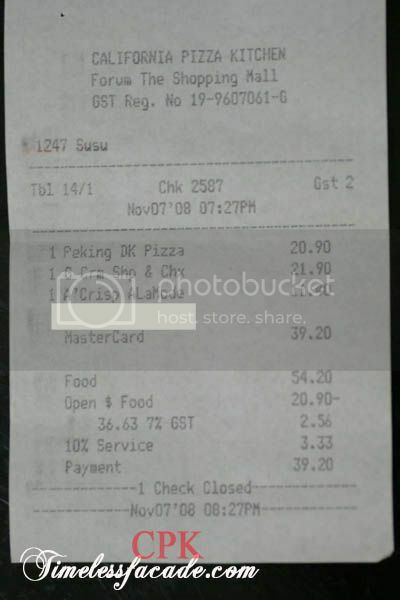 TNH: Its slightly more expensive then pizza hut actually.